Everyone who sells anything knows that more transactions lead to more revenue. To rack up more transactions, you need more clients. And how do you get more clients? Find more leads. 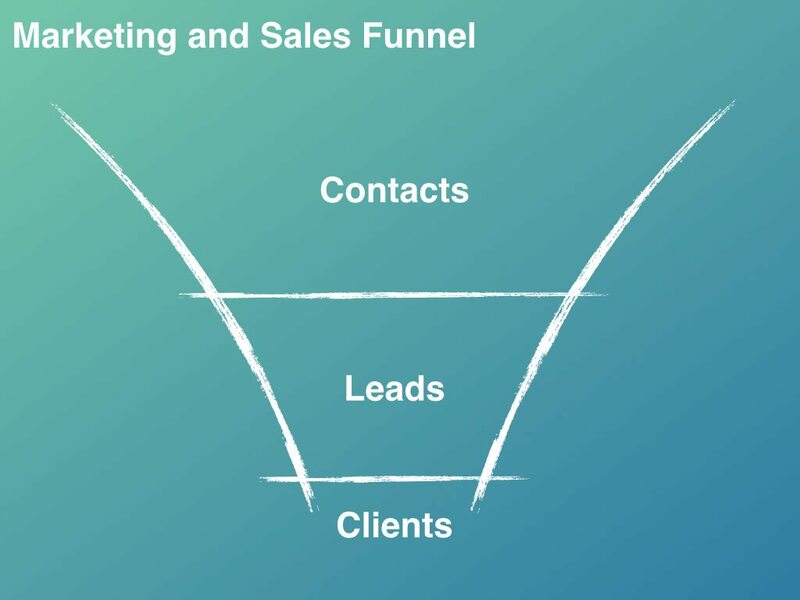 The top of the funnel is full of your contacts (sometimes referred to as “prospects”): friends, acquaintances, family members, those who’ve opened doors you’ve knocked on, people who see your online advertising, and so on. You may have relationships with some of these folks; some of them may be in your sphere of influence. Ultimately, though, you need to understand their plans, their hopes and their situations. Are they planning to buy or sell a home this year? Next year? Do they have the financial means to buy or sell a home? You probably don’t know. At best, you might be able to guess, but even that can be a challenge. Still, you know you need leads. Without leads, how will you ever build a pipeline? And without a robust pipeline, how will you ever make money? 1. Make it all about relationship-building. Marketing for agents is about building a relationship. If someone is ready to buy but they’re not prepared to buy from you, it won’t impact your bottom line. The goal here is to build a relationship so that when they’re considering a purchase, they’ll want to work with you. It takes time to become top of mind. Be consistent with your marketing. A Facebook post here or there won’t cut it. Be active on social media. Have an email marketing strategy. Utilize direct marketing in various forms and channels. Rome wasn’t built in a day, and your brand won’t be, either. You may get some low-hanging fruit, but many times, you’re going to have to trust the process. In general, it can take eight to nine “touches” before someone actually performs an action. We live in a noisy world. It takes time for you to become recognizable amongst the clutter. 4. Segment, target and repeat. Don’t send the same message to everyone each time you send a message. If you know that someone is more likely to be a seller, target them with content related to selling a home — and the same goes for the buyer side. The key is understanding who your audience is and where they’re standing, and then meeting them there. I recommend building profiles for each of your contacts (which is a phenomenal relationship-building tool). “Content marketing” is a buzzword, but it’s popular because it works. Simply put, “content marketing” is providing people with information to help them understand a problem and develop a solution. The critical element is that the content must be valuable to the reader or viewer. Ask yourself this question: “Will this content help Contact X make better decisions?” If so, it’s relevant content. Just remember to segment and target so that it matches a need. Building a relationship takes time. It requires effort. Build user profiles by being attentive, being responsive and being helpful. Jay Sherer is co-founder and vice president of marketing at Hello Agent, a tech startup that analyzes real estate agents’ contacts to identify those most likely to buy or sell a home.